The richness of Pakistani cuisine is influenced by the integration of culinary traditions from India, Afghanistan, the Middle East, and Central Asia. 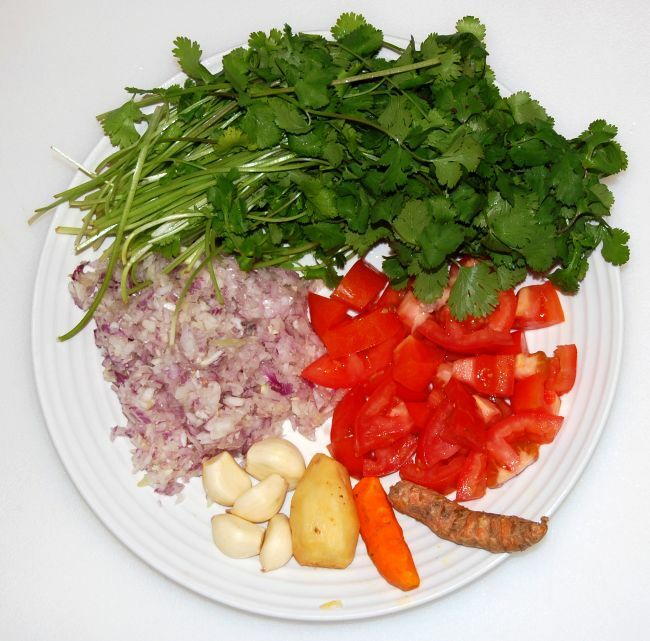 Pakistani dishes vary greatly from region to region and reflect the country's ethnic and cultural diversity. This spicy lamb dish is reminiscent of an Indian curry. 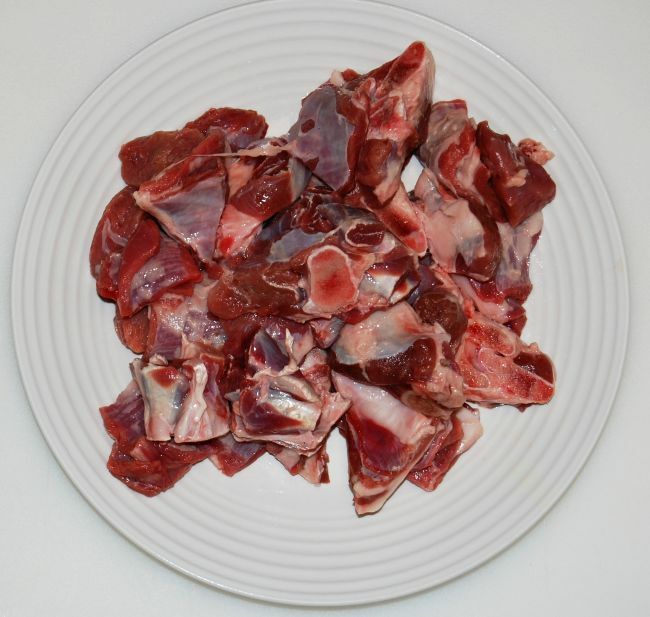 Put the lamb pieces in a bowl and sprinkle with salt and lemon juice, stir and set aside for 20 minutes. 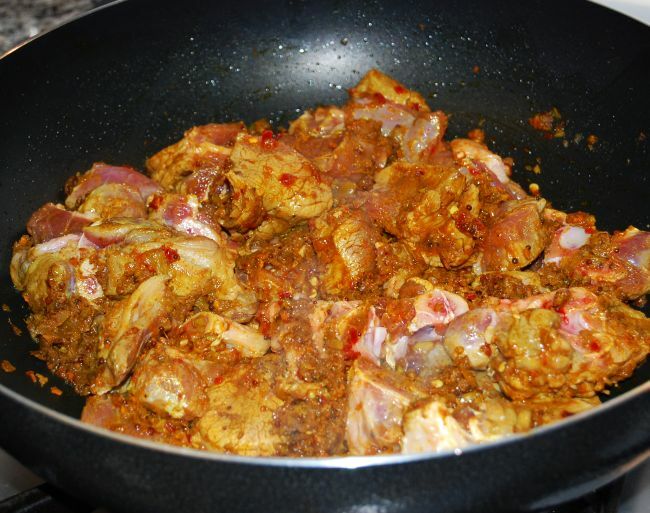 Set a pot (a Karahi) on medium heat, add the cooking oil and sauté the chopped onions, garlic, ginger, and turmeric until golden brown and fragrant. Add cumin, cinnamon, ground coriander, mustard seeds, garam masala, cloves, allspice, and chilies. Stir until fragrant and well mixed. Add the lamb pieces and stir until the spices cover the meat. Add the water, cover the pot, and lower the heat to simmer for about 45 minutes until the lamb is cooked. When the meat is tender, add the chopped cilantro and tomato, and mix well. 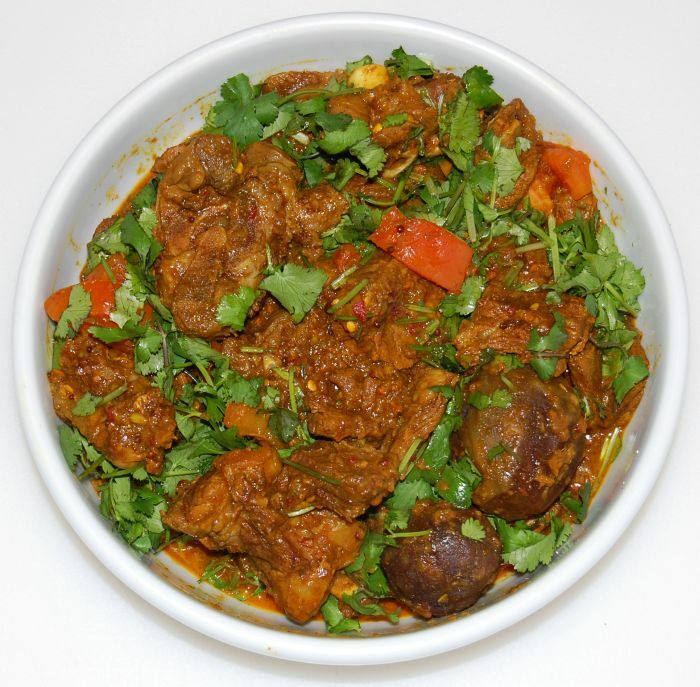 This spicy lamb dish is usually served accompanied with basmati rice.